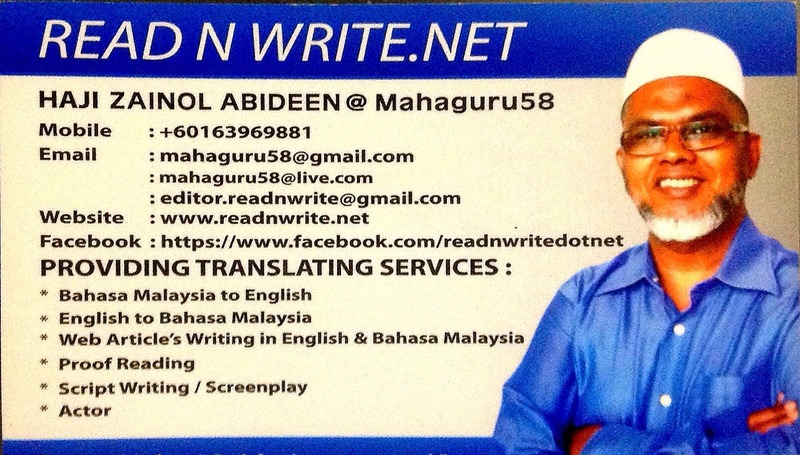 READ N WRITE: DBKL'S lousy English greeting US President Barack Obama gets flak! DBKL'S lousy English greeting US President Barack Obama gets flak! 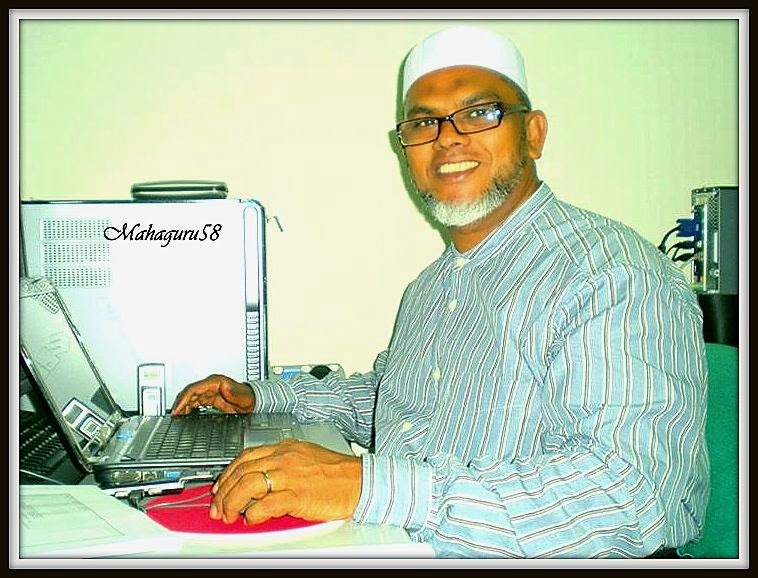 DBKL @ DEWAN BANDARAYA KUALA LUMPUR or the KUALA LUMPUR CITY HALL ia again in the proverbial hot soup for screwing up on the greeting for visiting American President Barack Obama which has been displayed prominently on the ITIS signboards at our capital city's major roadways. 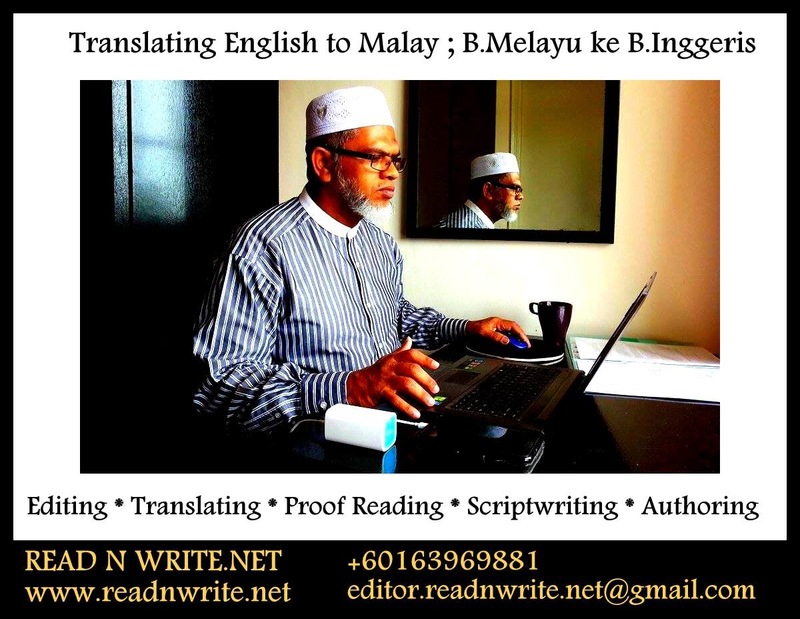 As we can all see clearly, the words used by DBKL to greet President Obama is obviously incorrect and doesn't really convey to him, that we are welcoming him to Malaysia, our beloved nation. 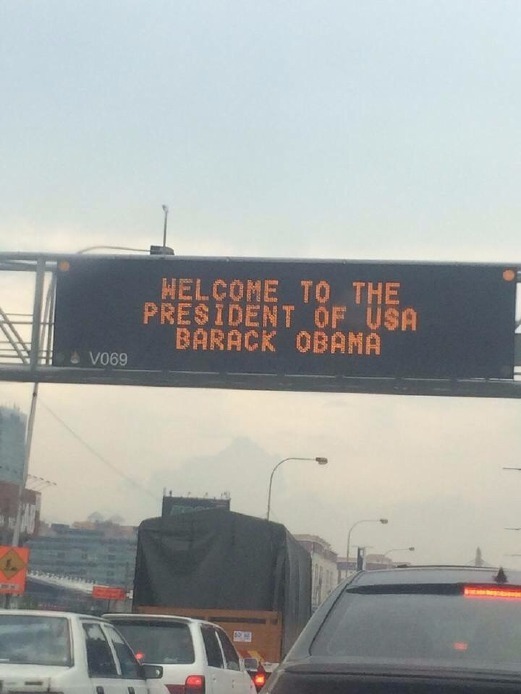 Instead, DBKL's sign says 'WELCOME TO THE PRESIDENT OF USA BARACK OBAMA'. Hehehehe.. We can all become fault finders and gleefully poke fun at the ones who are in charge of the capital city of our country, Kuala Lumpur. Hello? 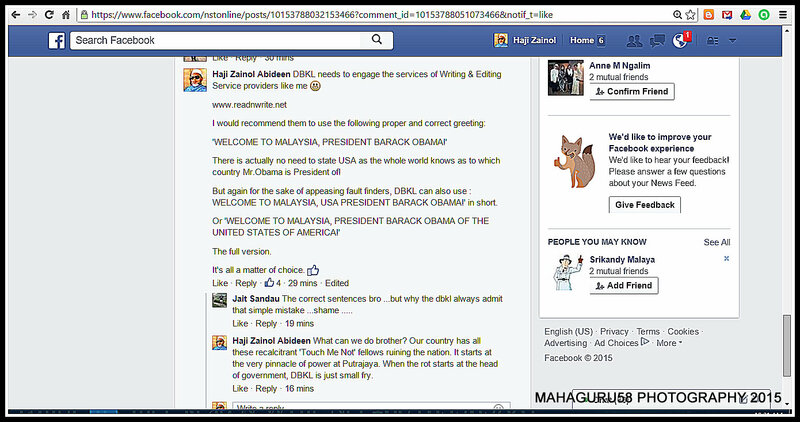 Who is DBKL to welcome readers to The President of the USA, Barack Obama? knowing that in the US of A, there are legions of LGBT practitioners who would simply jump at the chance to have a go at Obama! America glorifies their so called freedom to insult and make fun of just everything and everybody. Even their country's leaders are not exempt. Even The White House regularly holds the 'Roast' of its Presidents where the incumbent Head of State is made fun of publicly at these gala events. Even President Obama indulges in such tomfoolery. It's just a simple mistake on the part of DBKL but when it reflects very badly and exposes the atrocious poor command of English of our country's capital city's administrators! The blatant error in welcoming the most powerful and influential leader of the current world's # 1 superpower by DBKL's ill choice of words will be a laughing stock of the American media and talk show hosts. Please don't be a cheapskate DBKL! I won't charge you much! Hehehehe. selamat datang kepada presiden usa, barack obama.